I look at how much time I have promoted my ACO CLUB it feels I should continue to build this for trusted friends in business. cosmos exposed, ufosecretspace, and more. We deny being extraterrestrial but we call our higher selves as super conscious Nordic connections to those of our ancient ancestors. We look at how our cosmic conscious minds do interact with others and for what reasons. Wisdom of how we all decide what is true and if we are Nordic Extraterrestrials working with those who have contracts, then we must all subscibe to the fact that we answer to those above who desire to extend continous operating space programs to the closest stars. Some are allowed to contact those who we share as the ones we share as the blues and those who contact us through what is considered impossible means. Direct contact which is helped with our own radio waves and secret think tanks here on earth. S0me are always inside this intelligence group. Various programs are included and called various names that many of us have not heard about. Many want to now about space projects and programs and numbers and code names purposely are set up to maintain anonymity and secret control and who is knowledegable of what. For instanec TRW a contractor was once set up with the normal classified document order. Some of us share knowledge now for others to deny or accept. We research our own world for clues to our own ex istence as we go up the food chain or down the rabbit hole. “Memory is the means by which we draw on our past experiences in order to use this information in the present’ (Sternberg, 1999). 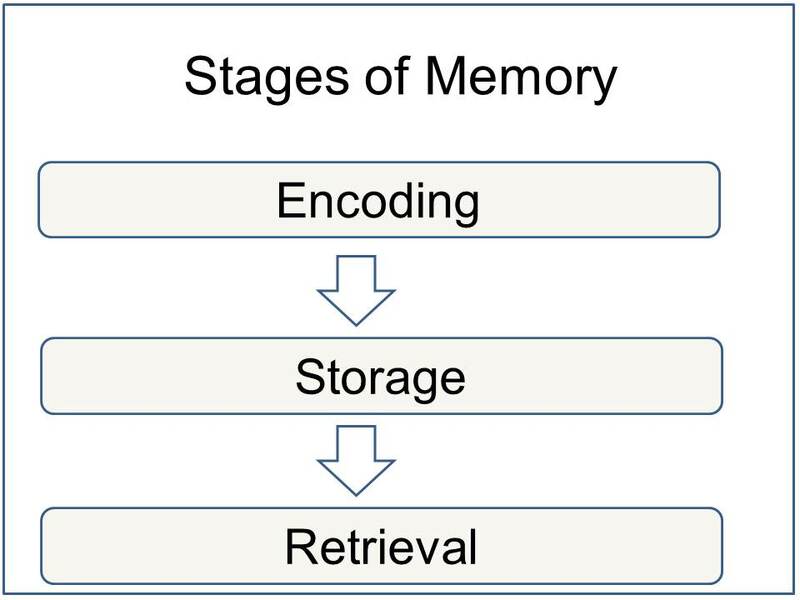 Memory is the term given to the structures and processesinvolved in the storage and subsequent retrieval of information. Memory is essential to all our lives. Without a memory of the past we cannot operate in the present or think about the future. We would not be able to remember what we did yesterday, what we have done today or what we plan to do tomorrow. Without memory we could not learn anything. Memory is involved in processing vast amounts of information. This information takes many different forms, e.g. images, sounds or meaning. When information comes into our memory system (from sensory input), it needs to be changed into a form that the system can cope with, so that it can be stored. Think of this as similar to changing your money into a different currency when you travel from one country to another. For example, a word which is seen (in a book) may be stored if it is changed (encoded) into a sound or a meaning (i.e. semantic processing). For example, how do you remember a telephone number you have looked up in the phone book? If you can see it then you are using visual coding, but if you are repeating it to yourself you are using acoustic coding (by sound). Evidence suggests that this is the principle coding system in short term memory (STM) is acoustic coding. When a person is presented with a list of numbers and letters, they will try to hold them in STM by rehearsing them (verbally). Rehearsal is a verbal process regardless of whether the list of items is presented acoustically (someone reads them out), or visually (on a sheet of paper). The principle encoding system in long term memory (LTM) appears to be semantic coding (by meaning). However, information in LTM can also be coded both visually and acoustically. This concerns the nature of memory stores, i.e. where the information is stored, how long the memory lasts for (duration), how much can be stored at any time (capacity) and what kind of information is held. The way we store information affects the way we retrieve it. There has been a significant amount of research regarding the differences between Short Term Memory (STM ) and Long Term Memory(LTM). Most adults can store between 5 and 9 items in their short-term memory. Miller (1956) put this idea forward and he called it the magic number 7. He though that short-term memory capacity was 7 (plus or minus 2) items because it only had a certain number of “slots” in which items could be stored. However, Miller didn’t specify the amount of information that can be held in each slot. Indeed, if we can “chunk” information together we can store a lot more information in our short-term memory. In contrast the capacity of LTM is thought to be unlimited. Information can only be stored for a brief duration in STM (0-30 seconds), but LTM can last a lifetime. This refers to getting information out storage. If we can’t remember something, it may be because we are unable to retrieve it. When we are asked to retrieve something from memory, the differences between STM and LTM become very clear. STM is stored and retrieved sequentially. For example, if a group of participants are given a list of words to remember, and then asked to recall the fourth word on the list, participants go through the list in the order they heard it in order to retrieve the information. LTM is stored and retrieved by association. This is why you can remember what you went upstairs for if you go back to the room where you first thought about it. Organizing information can help aid retrieval. You can organize information in sequences (such as alphabetically, by size or by time). Imagine a patient being discharged from hospital whose treatment involved taking various pills at various times, changing their dressing and doing exercises. If the doctor gives these instructions in the order which they must be carried out throughout the day (i.e. in sequence of time), this will help the patient remember them. A large part of the research on memory is based on experiments conducted in laboratories. Those who take part in the experiments – the participants – are asked to perform tasks such as recalling lists of words and numbers. Both the setting – the laboratory – and the tasks are a long way from everyday life. In many cases, the setting is artificial and the tasks fairly meaningless. Does this matter? Psychologists use the term ecological validity to refer to the extent to which the findings of research studies can be generalized to other settings. An experiment has high ecological validity if its findings can be generalized, that is applied or extended, to settings outside the laboratory. It is often assumed that if an experiment is realistic or true-to-life, then there is a greater likelihood that its findings can be generalized. If it is not realistic (if the laboratory setting and the tasks are artificial) then there is less likelihood that the findings can be generalized. In this case, the experiment will have low ecological validity. Many experiments designed to investigate memory have been criticized for having low ecological validity. First, the laboratory is an artificial situation. People are removed from their normal social settings and asked to take part in a psychological experiment. They are directed by an ‘experimenter’ and may be placed in the company of complete strangers. For many people, this is a brand new experience, far removed from their everyday lives. Will this setting affect their actions, will they behave normally? Often, the tasks participants are asked to perform can appear artificial and meaningless. Few, if any, people would attempt to memorize and recall a list of unconnected words in their daily lives. And it is not clear how tasks such as this relate to the use of memory in everyday life. The artificiality of many experiments has led some researchers to question whether their findings can be generalized to real life. As a result, many memory experiments have been criticized for having low ecological validity. Matlin, M. W. (2005). Cognition. Crawfordsville: John Wiley & Sons, Inc.
Miller, G. A. (1956). The magical number seven, plus or minus two: Some limits on our capacity for processing information. Psychological Review, 63 (2): 81–97. Sternberg, R. J. (1999). Cognitive psychology (2 nd ed.). Fort Worth, TX: Harcourt Brace College Publishers.